Hunter Foster (center) stands with Redhouse Executive Director Samara Hannah and Board President Bill Hider. “I foresee the future of Redhouse as supporting the local talent in Syracuse but also bringing in some Broadway experience so the two things can coexist,” Foster said. As an actor, Foster has been in ten Broadway shows, receiving a Tony nomination in 2004 for playing Seymour in the revival of “Little Shop of Horrors.” He’s also a writer and director, but he said it’s been a dream of his to run a theater. The new Redhouse, which completed a $10 million renovation of an abandoned building in downtown Syracuse earlier this year, stood out. The lobby of the new Redhouse. Namely, its downtown location and its three theaters without fixed seating, which Foster said opens up possibilities. 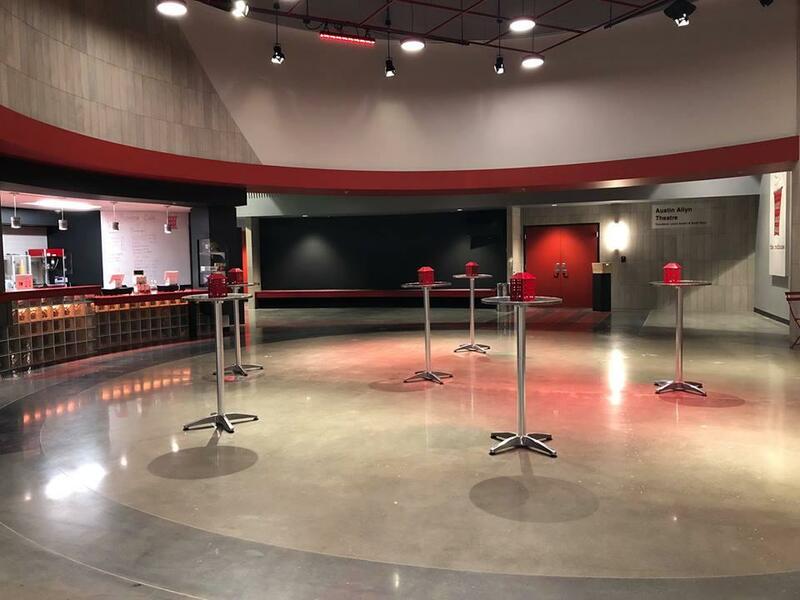 The new Redhouse facility feature three theaters, offices, classroom and rehearsal space and a parking garage. Foster said he wants it to be the centerpiece of revitalization efforts in downtown Syracuse. He is planning some family-friendly and young adult shows for next season. He is currently directing a show in Connecticut and will start at Redhouse in December.